Yoga is an ancient, self-empowering practice that utilizes a wide range of tools to enhance well-being and to maintain and restore health. It can be a powerful tool on the journey of personal and spiritual growth, as well. ‘Yoga chitta vritti nirodha’: The goal of yoga is to free the mind of fluctuations, to achieve a stillness and clarity of mind. Asana practice is a (small) part of this – there are seven additional limbs described in Patanjai’s Yoga Sutras and practicing these limbs is a process of developing that distraction-free mind. It’s a process! A peaceful mind does not happen overnight. Everyone who can breath. No pre-requisites are required to begin practicing yoga. Yoga is for everyone, irrespective of age, gender, belief system, cultural background or ability. Yoga offers a broad range of tools that can be tailored by a skilled teacher to suit the unique needs of each individual student. What can you gain from Yoga? By developing and refining different approaches, Krishnamacharya made yoga accessible to millions around the world. A few of his famous students were Patthabi Jois, B.K.S. Iyengar, Indra Devi, his son T.K.V. Desikachar and A.G. Mohan. 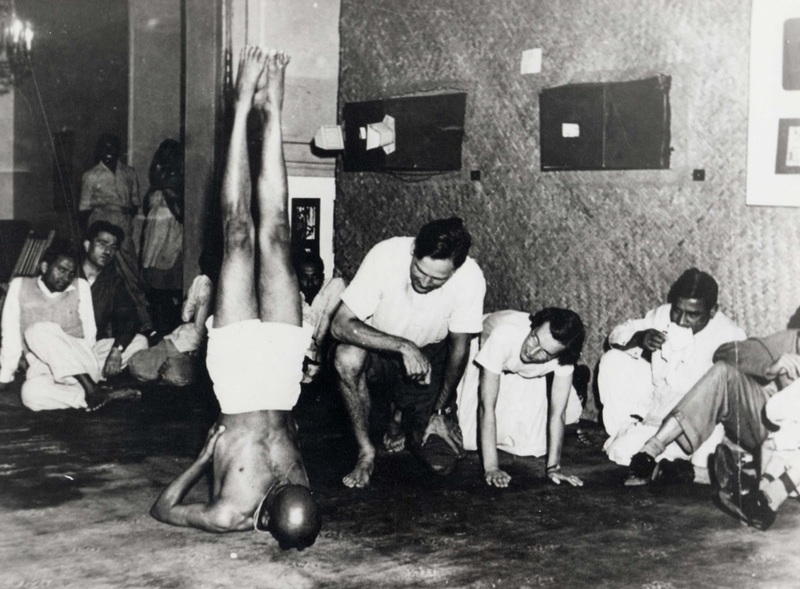 Krishnamacharya “believed Yoga to be India’s greatest gift to the world”. His yoga instruction reflected his conviction that yoga could be both a spiritual practice and a mode of physical healing. 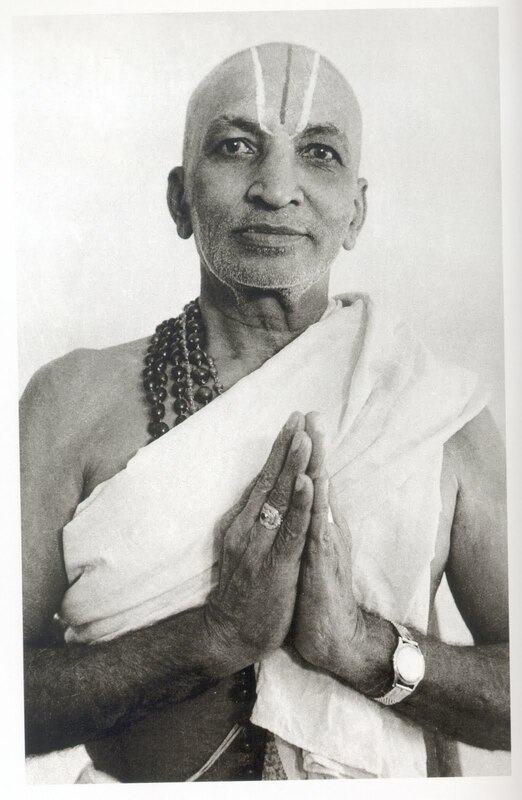 Krishnamacharya based his teachings on the Yoga Sutras of Patanjali and the Yoga Yajnavalkya. He was a religious man but never pushed a student become a believer too if they weren’t. It’s a not dogmatic approach. For Krishnamacharya, the path of yoga would mean different things for different people and that each person should be taught in a manner that he or she understand clearly. Ashtanga Yoga is system of yoga transmitted to the modern world by Sri K. Pattabhi Jois (1915-2009). This method of yoga uses Vinyasa, what means synchronizing the breath with a series of postures (Asana). This process of yoga producing intense internal heat and a profuse, purifying sweat that detoxifies muscles and organs. This will improve circulation and creates a light and strong body and a calm mind. Primary Series (Yoga Chikitsa) detoxifies and aligns the body. Ashtanga means ‘eight limbs’ as described by Patanjali in the Yoga Sutra’s. The first four limbs yama, niyama, asana and pranayama are considered external cleansing practices. The definition of yoga is “the controlling of the mind” [citta vrtti nirodhah]. The first two steps toward controlling the mind are the perfection of yama and niyama. In order to do that we must transform our weak body with many obstacles into a healthy, strong and stable body and sense organs. By having a daily practice, you get mentally challenged to release old patterns of behavior and attachments, and so, as the physical transformation takes place through asana practice, a parallel psychological process is happening too. With the body and sense organs stabilized and controlled, the mind now, can become steady and controlled. The four internal cleansing practices are pratyahara, dharana, dhyana, and samadhi. This brings the mind under control. There are six poisons: kama (desire), krodha (anger), moha (delusion), lobha (greed), matsarya (sloth), and mada (envy). When purification is complete and mind controlled, the Six Poisons surrounding the spiritual heart will, one by one, burn away and the light of our inner nature, the Universal Self will shine brightly.